I just signed up for my second credit card. I know, everyone just gasped and shook their fingers at the computer screen. I know my boyfriend did. 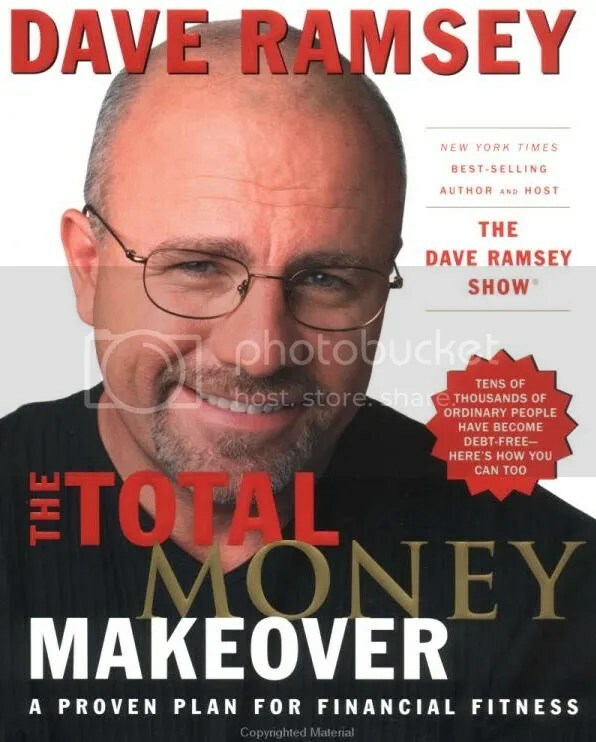 I know Dave Ramsey did. Because Dave Ramsey definitely reads my blog. Why does everyone jump to conclusions? Are 20-somethings, as a whole, REALLY all that irresponsible with money that anytime I mention the word “credit,” even people who KNOW me and my tightwad ways gasp and shake their fingers and try to talk me out of it? I didn’t apply for a credit card until a year out of college, when I was working and knew I could potentially pay for it. I applied for a Spirit Air Mastercard so I could get cheap flights. I was denied, since I had no credit history, but I was approved for a Capital One card, which I’ve had for two years now and have yet to pay a single cent of interest on. I never put more money on my card then I know I will be able to pay off. Some months, I don’t use it at all. My limit was raised once, but I laughed, because I knew I would never charge up the old limit because it was too much money. But y’all are making me nervous. I got approved for that Spirit Air Mastercard that I wanted, but there’s this stigma about it the pretty shiny white plastic. I don’t want to touch it. It might bite me. What ever happened to building good credit? Is that irrelevant, now that we have all sunk ourselves so far into debt, just the fact that you have an okay credit score is good enough? When I want to buy a car, or a house, am I going to be able to? According to Dave Ramsey, I should by a car in full. I don’t know about a house. Dave Ramsey says you should pay down your debt as quickly as possible, including your mortgage, but what does he say about acquiring one? Nothing. What does he say about paying off your student loans? “Well, you should have applied for more scholarships.” Thanks, Dave. The financial climate I’m getting from my friends, neighbors, and pop-culture is that we have all messed things up really badly, so let’s talk about how to get out. What about those who are just starting? Those of us who, I guess miraculously, made it to 25 with nothing on our backs but student loans? In July of 2009, I dropped my purse in the commuter parking lot in Marshall, Michigan. I was juggling bags-o-swag from visiting the ALA exhibits in Chicago, and I didn’t notice when I lost that one important little pouch. This story gets weird here, but basically, someone saw it lying lonely in the parking lot and got a hold of my mother before we left the city. I may or may not have been breaking into my library after 11 pm to steal Guitar Hero when this phone call was recieved. Anyway, long story short, I got my purse back, but when I opened my cellular telephone, it became apparent that I not only left the poor thing behind, but ran it over with my mother’s PT Cruiser. “Get a new phone!” everyone says. And yes, my contract has been up since LAST March. So I can get a new phone. A number of things got in the way. December 2009 – January 2010: Oh snap, I have to buy CHRISTMAS presents??!! And then be totally broke for a month afterward? Oy vey, being a grown up is not so fun. Only now, in this February/March period of time, a full calendar year after my contract with Sprint has ended, it’s conceivable that I could get a new phone. And with my tax returns starting to trickle in, I’m thinking it’s time. But now I’m struck with indecision. 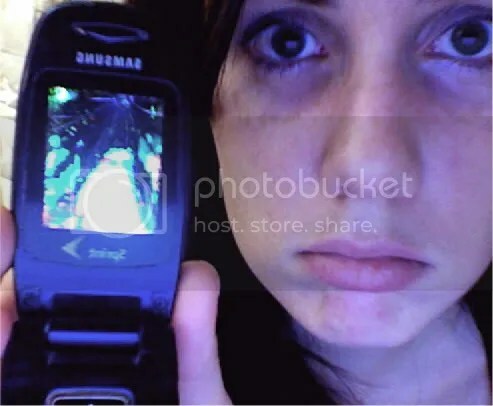 Option #1: Get a phone like the one I have, which cost me 50 bucks at the time, but would now probably run me between free and 30. Keep bill low, continue to live a text-free existence. I’m actually, philosophically cool with this choice. I’ve never been a Phone Person. To my friends’ annoyance, I don’t text, I don’t always answer, I *usually* return calls, but not always, and often I leave my phone in the car/coat pocket/boyfriend’s house/freezer and not notice for 6 hours… or 6 days. Is there something WRONG with this lifestyle? Am I missing out on some fundamental human, social experience because I don’t pay for text messaging? Option #2: Get a phone like the one I have, add texts. My bill would probably go up by 5 dollars, if that. I could submit. I might have more friends if I texted, and I don’t even think I’m joking. It’s the new casual-communication method, and since I’m new to town, I don’t have many friends who are beyond that sphere of Casual Communication, and since I don’t text, I’m probably just That Girl From Some Other Planet With That Blog. 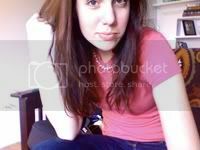 Again, I’m philosophically cool with being Other Planet Girl. But friends are fun, nice things to have, and good for your well-being and your career. So maybe I should bite the bullet. Option #3: Get a super fancy phone, add texts and internet. In for an inch, in for a mile? Two years is a long time to wait for another contract to end – those fancy phones will run you 200-400 dollars full price. There’s also the jealousy factor here. Every person in the world has an iPhone/Blackberry/whatever, but what really gets me is my STUPID SISTERS. Betsy just bought a Hero. Caroline’s had a Blackberry since her 14th birthday. Dorothy has something with a touch screen, and I’ve had the same phone since she was 11. But the plans are OUTRAGEOUS, especially when adding a line for Lance might be an necessity in a few months when his own plan is up. 80 dollars a month, minimum, just to HAVE the phone. That would be doubling my cell phone bill. Who in the world can justify that? Am I the only person on the planet with a tight budget? Who, when adding 30-40 dollars a month to a cell phone bill would, essentially, be subtracting that money from my savings account or my meager monthly “spending” stipend? How does anyone pay for these cell phone bills? I’m going through credit card stuff too. I actually got my (student) credit card taken away because my limit was too low (?!?!). But when I asked to raise the limit, they said they couldn’t on a student card, and couldn’t give me a “real” card because I’m a student. Dumbass Chase. BOYCOTT THEM. I applied for a Discover, we’ll see how it goes. But, I also pay off my bill in full when it comes. I didn’t care if my limit was raised for me, just so I could keep the card and build credit. What do they have against young people? PS I love the circularity of your entry. At any rate, when it comes to phones, I have a non-smart phone. A Samsung Rant with a flip-out keyboard. That’s it. Data plans are insanely expensive, especially for two people. So I just live without. I was at a meeting with my library association and I was the only person without a smart phone. It’s not that big a deal, and hopefully, data plans will come down in price in the near future. I will say that there is great merit in a phone with a keyboard like this, and it won’t break your budget.